Where on the firewall are you trying to connect it to? If the car started at first with this wire disconnected, then it doesn't need it to run. 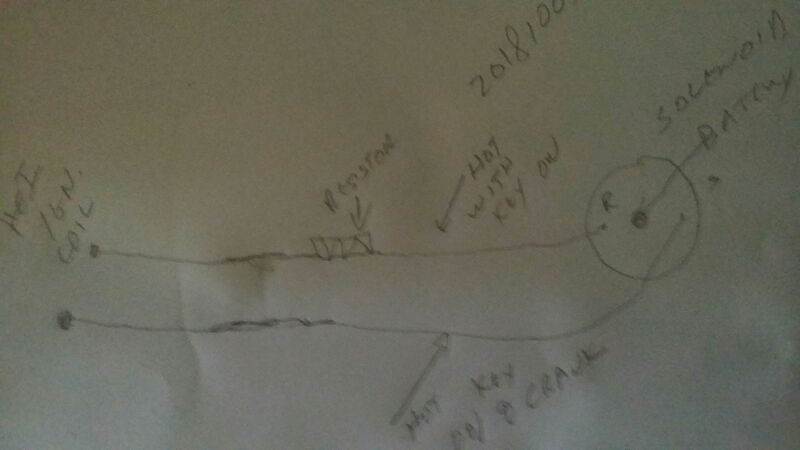 ?,both diagrams show stand alone coil, wouldn't that car have a hei distributor?bad info from a book, again? If it has HEI, that could be the resistor wire off the starter solenoid. With key on, should have less than battery voltage. That system has a dual coil power source, one is from the full battery with the starter engaged (key switch on/crank). With the key in on (not in start/crank) you have a lower than battery to the coil. Trace it down to mthe solenoid, the post's on the solenoid (two small ones) will be an S, the other R. The R is the resistor side. 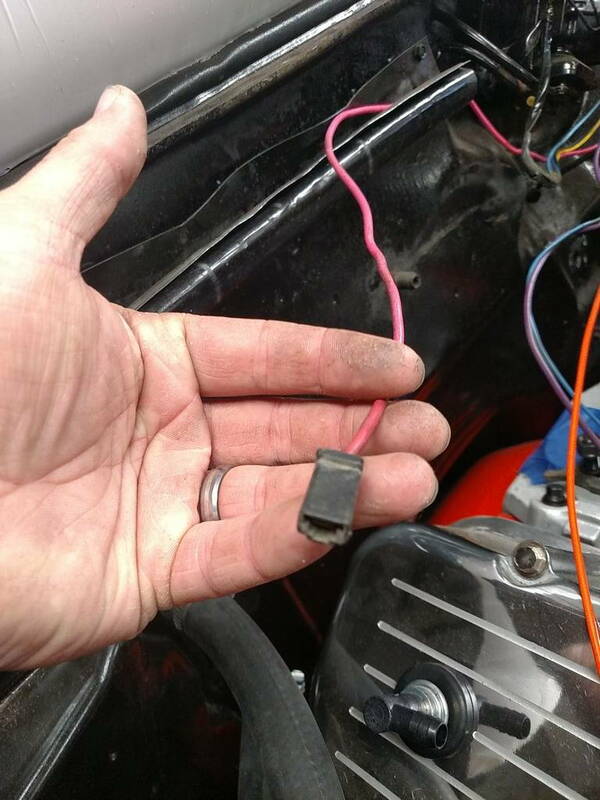 If during crank, it starts then dies after you move the ignition switch from start to on, and this is the suspect wire, that explains why it dies. I could be single, I wasn't sure so, if you look at my hand drawing you will notice eraser marks. It is a parallel circuit, both on at crank, straight battery off with on, no crank position on the switch.